Many of London’s electric car charging units are going unused from month to month, official data suggests. Figures for June 2014 show that of the 905 units across the capital, only 324 were used (36%). The remaining 581 were not plugged into at all. By way of comparison, in June 2013 there were 892 charging units in London and during that month a quarter (24.3%) were used. The data shows that there were 504 units which went unused in both June 2013 and June 2014. However in June 2014 there were a total of 4,678 charging sessions, more than double the 2,243 figure a year earlier. This reflects the quickening take up of electric cars of which there are now about 16,000 in Great Britain. The RAC Foundation analysed data obtained under the Freedom of Information Act from Transport for London (TfL). Until September 2014 TfL operated the Source London network of electric charging points in the capital. Since then it has been operated by the Bollore Group. The analysis also shows that 80% of all charging takes place in inner London even though only 46% of the charging network is in this area. The most heavily used charging unit was at Victoria Station. It recorded 302 charging sessions in June 2014. This was followed by two units in Hinde Street, W1 (114 and 113 charging sessions respectively). In the same month the average length of charging session across all units in London was five hours and 35 minutes. “The encouraging news is that electric car sales in the UK are at last showing signs of improvement, but we still have a charging network that is running far from capacity. “The Mayor of London has committed to rolling out another 4,500 charging points over the next three years, on the way to meeting his ultimate target of 25,000, yet official data shows the bulk of the units we already have are significantly underused. “One reason for this could be the large number of units that appear broken. 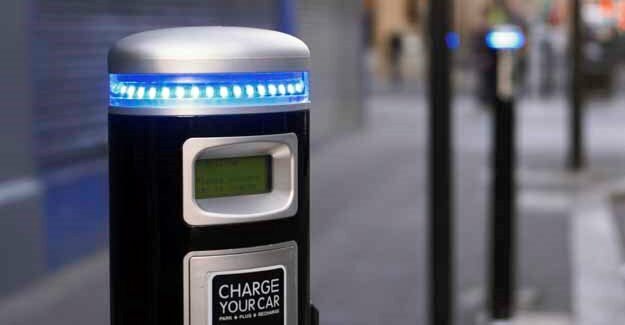 The Source London website suggests around a third of charge points are out of service, so you couldn’t charge your car from them even if you wanted to. Before we splurge money on more units we must ensure the existing network is fully operational and accessible. It should be noted that many units have more than one socket as in June 2014 there were 1,410 sockets recorded in London. Half (49.5%) of the Source London network of charging units are in off-street locations such as NCP and supermarket car parks.